Libra is a sign of peace and harmony. You seek balance in all areas of your life. The last thing you want is to get into something that will tip the Libran Scales. The best way to prevent this from happening is to arm yourself with the Libra Horoscope 2017. Use your horoscope guide to help you achieve a harmonious and rewarding life. This will be a good year for people born between September 22 and October 23. According to Libra Horoscope Predictions 2017, there will be positive changes in your career, business and love life. Just keep doing your best because all your efforts in 2016 will be rewarded and acknowledged in 2017. Start envisioning the kind of life you want for 2017. Resolve to fulfill a dream of yours that you’ve been putting on hold. It’s time to be more gung ho in all areas of your life, just like your opposite sign Aries. Make it happen in 2017! Since the spotlight will be on Librans’ career, love will have to move down to second place. Romance in the workplace won’t likely happen for you this year. Since you are the sign of balance, it will be difficult for you to focus on your career goals when your love life clashes with work. Your social life will be active although you can’t expect anything beyond spectacular happening at the love front. 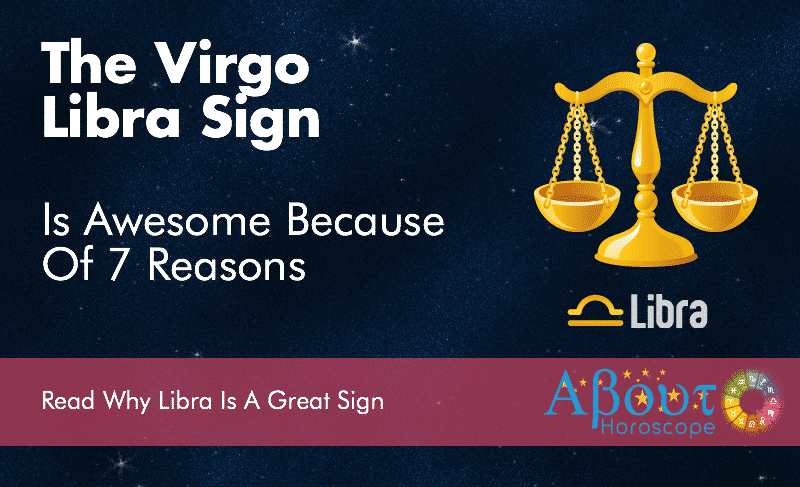 According to Libra Love Horoscope, you will meet interesting people in 2017. Enjoy their company in the meantime and do not rush into serious commitment. You will be too busy at work to nurture a new relationship. For those who are married and committed, balance time for work and love to avoid conflicts. Libra Career Forecast indicates that you will soar high in 2017. Those who are into construction and manufacturing business will have a profitable year. Meanwhile promotions and awards of distinction are lined up for Librans who are working in the fields of Information Technology, Medicine, Law and Sales. Let go of your inhibitions and strive to be more visible at work. Make use of your negotiating skills to strengthen your ties and expand your network. Your leadership skills will be highlighted this year. Be more decisive. People will rely on you and follow your lead. If you take too long analyzing the pros and cons, your work maybe delayed or will not take off at all. Do not lose the momentum that 2017 ushered in. Be more confident and trust in your reasoning and abilities. Foster teamwork because you will be judged based on your team’s success. When you feel that your enthusiasm is waning, take a break and recharge. Librans who are still in school will benefit from this sign’s career luck too. This will be a busy and challenging year but academic recognition will be yours if you stay focused on your goals. You have the tendency to procrastinate. Resolve to crush your manana habit while you’re young. Get into sports and join competitions because this will help instill discipline. Do not worry about losing because the heavens will be on your side if you do your part. Libra health forecast shows that you will be mentally and physically healthy in 2017. Librans will be more energetic than usual. However, this does not give you license to neglect your health. Libra rules the kidneys and liver so eat healthy and limit your alcohol intake so as not to overwork these organs. Make it a habit to exercise. You tend to be inactive, so get up and get moving in 2017. Stress is your number one enemy so find ways to keep it at bay. See to it that you will get together with people who make you laugh and give you positive vibes. You may not have full control of how things will turn out, but having the right attitude will help you deal with stress better. You are happiest when balance exists in your life. A peaceful mind is the key to your good health so resolve to have one. There will be increase in your earnings due to the favorable turnout of your business or career. However, Financial Outlook for Libra sees the occurrences of unexpected expenses during the first half of 2017. You might have to spend for home improvements or medical expenses of someone close to you. Librans are quick to fork out cash for vanity’s sake and extravagance. Spend only for what you need. This is also not a good period for new investments or getting into joint ventures. Wait it out till the 3rd quarter of the year when your money luck improves. January–The pace picks up at work. You’ll be busy as soon as the New Year rolls in. It’s time to aim high. If you haven’t laid out your plans for 2017, find a quiet place where you can set your goals and do it now! A relative or friend will play matchmaker and set you up on a date. Go and enjoy. February–Use your negotiating skills to foster teamwork in the office. Miscommunication may occur so step up and be the peacemaker. You have to take the lead to diminish tension between colleagues. Watch your health and take Vitamins when you catch a cold. March – Personal and work related conflicts will stress you out this month. Keep your cool because all will be well at month’s end. Talk things out with your partner or spouse so issues will be resolved immediately. Mid-month, career opportunity will knock on your door. It’s time to get into a new wellness program. Don’t delay! April – Workload will increase and some colleagues will test your patience this month. This time around, focus on your tasks and let others figure out a way to resolve their own conflicts. Stress can get the better of you so find time to unwind. Go for short walks and release all that tension. Watch out for unexpected expenses. May–Welcome the merry month of May! Things will be favorable in career, love and finances. Higher ups will take notice and acknowledge your value in the workplace. Romance is in the air. Single Librans will meet people who match their ideal type while attached Librans will have sweetness painted all over them. June– Eyes are on you, in and out of work. Try to be more assertive so you will continue to shine. Get your entrepreneurial skills out in the open. Aim to impress and don’t be timid. In the social scene, you will draw admirers as well. Enjoy the attention. July–You will have some time to sit back and recharge. Spend time with family, friends and partners when you can. Librans will continue to shine at work. Opportunities will continue to knock on your door and new developments at work will favor you. August – Libra Monthly Horoscope shows that this will be a peaceful month. Life, work and love will be balanced. You’ll be humming and there will be a spring on your step. The pace will shift gears at month’s end setting you into a panic mode. Relax and find your center, because you will be able to get things done. September–Do not rest on your laurels just yet. You need to be on top your game so keep that enthusiasm burning. Believe that you are worthy of success and other people will be convinced as well. Watch your back though. Libra monthly horoscope 2017, sees that being favored by you seniors will not sit well with others. October – Keep your finances in check. Be meticulous in handling all your records so you won’t be amiss in payment schedules. Make sure that you will spend within your limit. Do not dip into your savings to splurge on items you have no immediate need for. November – Money luck improves. Increase in business profit, salary or bonus will come your way. Find time for yourself this month. Spend a quiet evening at home reading a good book or listening to music. Pamper yourself. Go to a spa and get a massage. You deserve it! December – Librans are masters of diplomacy. However, this month no matter how cordial and tactful you are, there will be people who will get on your nerves. Keep your distance and do not let them tip your scales. Enjoy the season! Celebrate with people dear to you. End the year with a peaceful mind and heart. All in all 2017 will be a good year for hard working Libra. Define your goals even before the year begins. Believe in your abilities and resolve to overcome your tendency to be indecisive. Opportunities come and go so you cannot waste time sitting on the fence. Do not be afraid to take on new challenges for fear of tipping your Libran scales. Empower yourself and keep moving forward. Good luck! Have peaceful and harmonious 2017!